FunnyNotesBlog - Ordinary family in thrilling Moscow: What is Russian babushka and how to survive Banya?! What is Russian babushka and how to survive Banya?! When in Russia, there are few things you MUST experience - Russian Babushka and Russian Banya. We were told that without accepting and experiencing these it is like you have never seen real Russia. So, when our friends came it was the best opportunity to try Banya (something like Turkish sauna but worse). My husband already tried the traditional, male banya. Gathering of a lot of guys in one small room full of steam, beating each other with branches. Ok when he explained how it looks, first I thought, good that women can't do it and rather go for traditional - going out, dancing and drinking. But talking to different people we heard there are private Banyas, where you rent a full house for yourself and enjoy with the kids. At first we thought, renting a full house, how can we afford it. But actually when we called, it sounded really affordable divided on seven of us, so we booked it. It was near the centre, a gated compound with eight to ten of these houses. They are all wooden and entering there you feel like you came to some village in the middle of the city. The house had two floors, 1st floor with banya and dining table and second floor with billiard room and two rooms with beds. Outside was a pool at 19 degrees and a huge pot with water at 40 degrees. And then my son came running from the top floor cuddling two pillows. The images that went through my head were ten people having a party at the place and you cold imagine my thoughts how they used the two rooms with beds and pillows. I took the pillows form him and convinced him that the cold pool is the best option otherwise he goes to the steam room. On one screen in the room there was a promotional video about the Banya and they showed 'Parenie'. you rent a guy to come and 'beat' you (not actually beat) with branches in the banya. The guys on the promotional movie were tall, well built and you really trusted them to know what they were doing. So we ordered a guy to come. Well, Russians are good at promotional movies. The guy that came was small, thin, but I convinced myself that he must be a professional. It is a great massage, if you are able to survive it. In fact, with these branches the guy moves the hot air and steam all over your body. In the end it took me some time to stop the dizziness, but after few minutes you feel reborn and refreshed. I was astonished that even my seven years old daughter enjoyed it. After four hours of eating, drinking and steaming I can tell you it is great way to spend time with the whole family, highly recommend it. They say you have to know a real Russian Babushka. How you recognise her. Old lady, strict, shouting at you in the street, that you should dress your kid better because it is cold and she is not related to you in any way! We finally met one on a bus ride. Kids under seven don't need to pay for public transport. My daughter just passed that limit but my son still rides for free. So when we entered a bus we were so fast that we slid the ticket for all four of us. As we were riding a bus a strict looking, serious lady approached us and asked 'Who speaks Russian!'. I have to admit I got a bit scared and wanted to hide under the seat but got a little bit of courage and said that I understand a bit. She started shouting at me: ' Why did you use the ticket for your kids. They can ride for free. Save your money, don't spend it on things you don't need to. What, You say she is above seven (looking at my daughter), then say she is six !' I was astonished, here was this Russian lady, who saw me for the first time in her life, giving me advice how to cheat properly in Russia. From that day I love Babushka!!!! I really like your post! It has given me a little breath of Russia and inspired me to learn something else. Keep on writing and have a good time, though I don't doubt you will! I see you know how to enjoy life! Have a good time all of you! Wow! 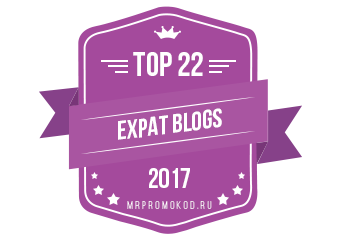 I have enjoyed reading about people and their experiences in Russia on your blog. I will be definitely be in touch with you.as o will be coming there soon. Some not so Russian days! !